Would you like to have the best soup in Scotland to sell in your cafe? Look no further. We offer a wholesale service which means your customers can enjoy some genius in their own lunchtime. We have over 100 different soup recipes and are creating more each week. 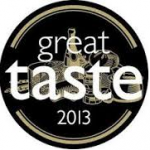 Two of our soups are Great Taste 2013 award-winners and we were awarded Best Soup in Scotland 2013 by the Good Soup Guide. Our cafe has gained numerous five star reviews, been Hit Listed and rated as of the top five places for lunch in Edinburgh. We’re hugely delighted with all of this, and are now busy resting on our laurels inventing new recipes to widen our repertoire still further. So, we are now opening our wholesale list to a small number of cafes who share our passion for food done properly. We deliver our soups and salads to our wholesale customers by bicycle using our very own cargo bike. Each soup and salad travels with information on dairy, gluten, common allergens, a use-by date and information on any unusual ingredients we may use (sumac and freekeh, anyone?) Your customers can be confident that not only is their soup delicious but that it is produced right here in Edinburgh and transported carbon-free. Interested? We will be happy to answer any questions you have and arrange for you to try some for yourself.